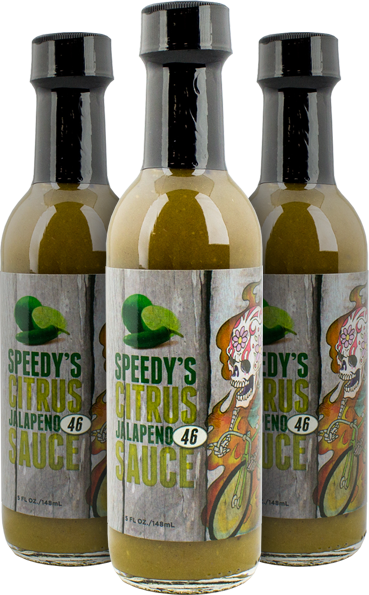 A smoky, savory flavor made from Virginia grown habaneros and other natural ingredients. 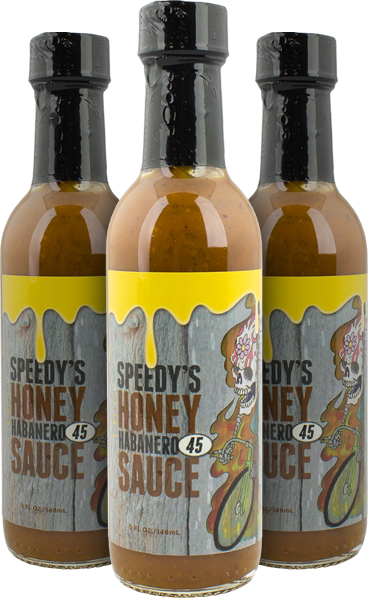 This carrot based sauce is your go to for tacos, burritos, burgers, bbq. Great for accenting any soup, or stew. It is the most versatile of the Speedy's Collection. Sweet and savory. This was originally made for barbecuing chicken, but it couldn't be contain to one purpose. 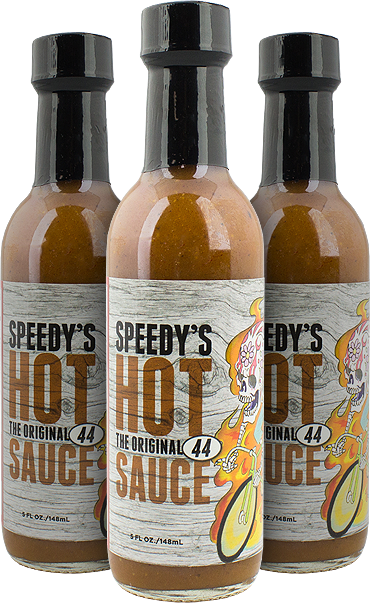 It has evolved into a favorite for those who love a sweet heat. This was conceived while riding many mile on a skinny tired bicycle. Its concept was a lighter, brighter flavor for milder meats and fish tacos. It has evolved into the breakfast sauce, dipping sauce and marinade as well. 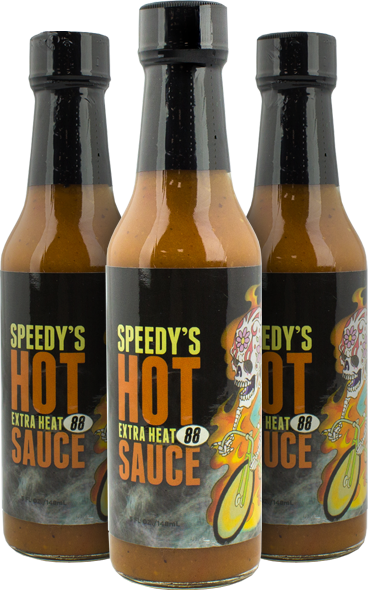 Great for the moments when you want more flavor but not intense heat. Smoky and savory with a kick. Similar flavor profile as the #44, but more heat. It hits more front and mid palate. Some folks just wanted more heat. Feel the burn.